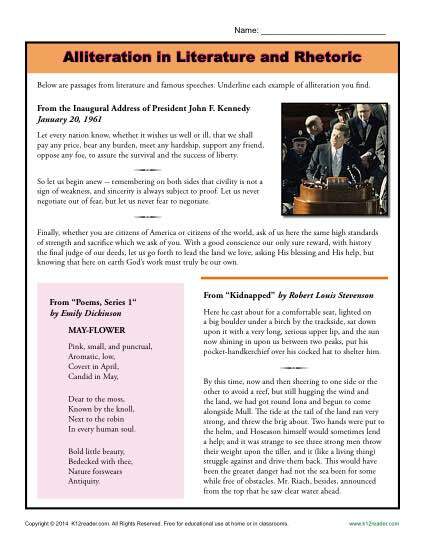 This worksheet combines the inaugural speech of President John F. Kennedy with the prose of Robert Louis Stevenson and the poetry of Emily Dickinson as an alliteration adventure. Your student will identify the alliterations in each passage. You’ll like it for Common Core Standards for Reading: Information Text or Reading: Literature for grades 6, 7, and 8, although it may also be used for other students as necessary.